Plus with some great new songs written by Flight of the Conchords own Bret McKenzie along with the oldies and performances that will leave you smiling all throughout…. but….only if you’re a big Muppet fan. If they aren’t your cup of tea then I doubt you’ll enjoy this. Animal: No drums! No drums! Jack Black said no drums! Fozzie Moopet: Yo, what the waka, man? Walter: Am I a Muppet, or am I a man? If I'm a man, I'm a Muppet of a man. Kermit the Frog: [sadly] No. A picture of Jim Henson appears on a poster outside of the Muppet Theater and a picture of him with Kermit appears on the wall in Kermit's old office. At one point in the movie, Rico Rodriguez who plays Manny on Modern Family, which airs on ABC, asks Kermit if he's a Ninja Turtle. 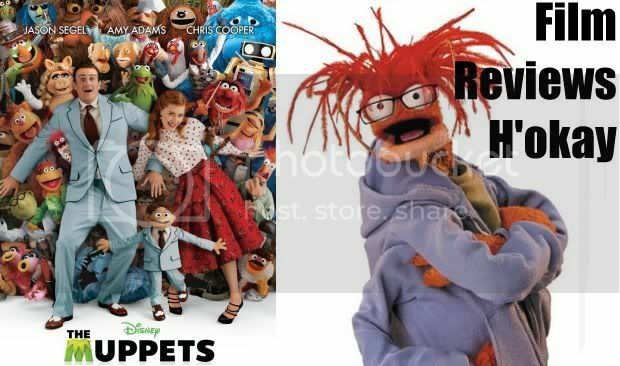 The Muppets were Made by Jim Henson, who also made the Animatronics for the Live Action Ninja Turtle film and its sequel. An appearance by Elmo of Sesame Street was planned for a scene where lawyers would have nixed an attempt by the Muppets to have him host their show. 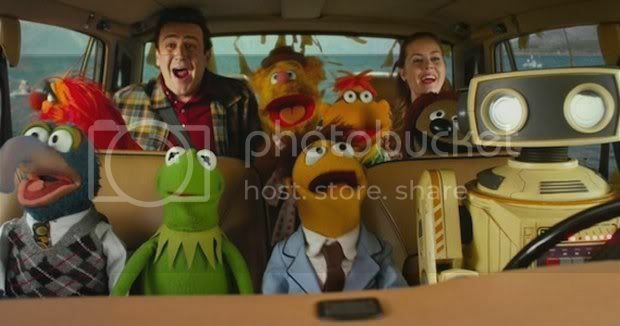 According to Jason Segel, the cameo itself was forbidden by lawyers. 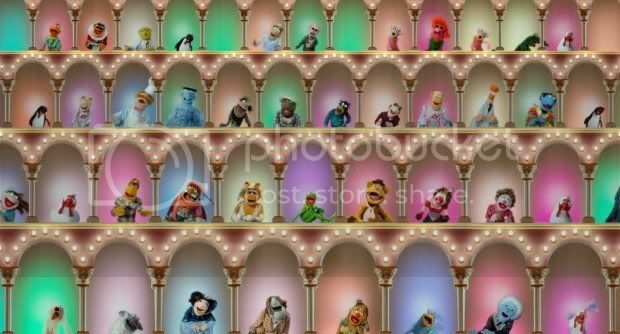 Sesame Street characters had previously made cameos in The Muppet Show, The Muppet Movie, The Great Muppet Caper, The Muppets Take Manhattan and various specials, but have not done so since the purchase of the Muppet characters by Disney in 2004. The first theatrical Muppet film that Frank Oz wasn't involved with. Oz performed and voiced Miss Piggy, Fozzy Bear, Animal, Sam the Eagle, Swedish Chef and various other Muppets in all the TV shows and all the movies. Eric Jacobson has since taken over all of Oz's characters.